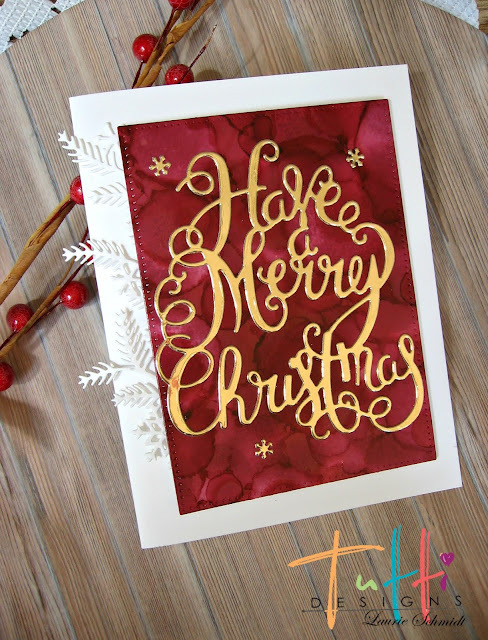 Tutti Designs: Have a Merry Christmas! Laurie here from Stamping Up North sharing a card I made with a gorgeous die from Tutti Design's new release. 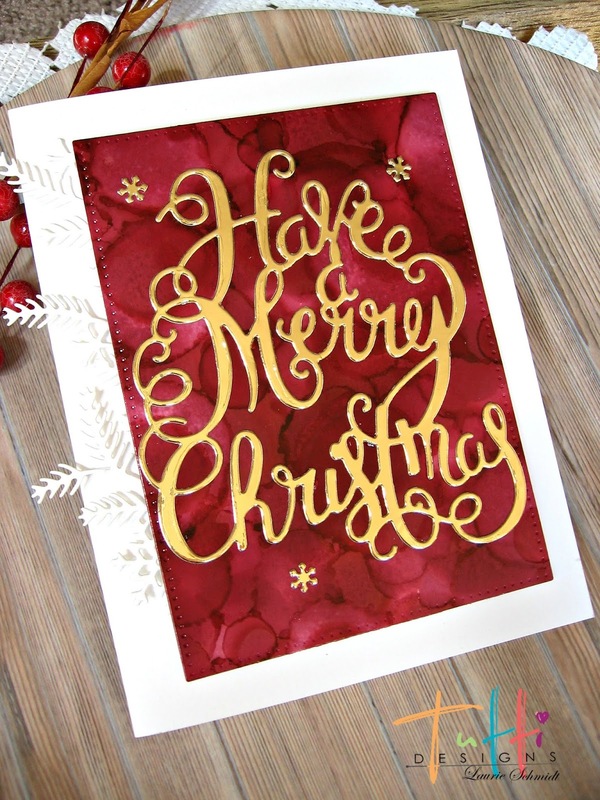 It's called, "Have a Merry Christmas." 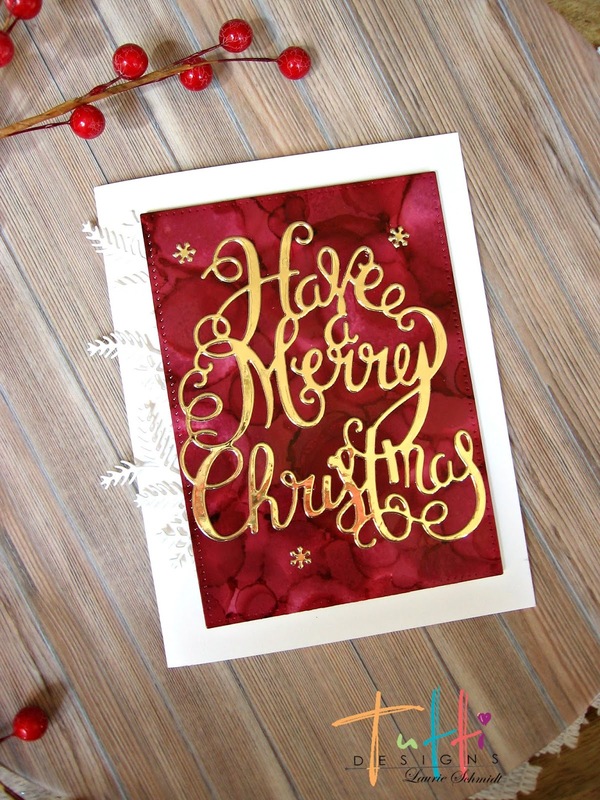 I cut it out in gold foil..so pretty! Then I cut out a dotted rectangle from a piece of alcohol ink paper from my stash. So pretty and elegant, Laurie! I love this red and gold combo.